Sarah Krasnostein’s The Trauma Cleaner: One Woman’s Extraordinary Life in Death, Decay and Disaster (Text) has been longlisted for the UK’s Wellcome Book Prize. The annual prize, worth £30,000 (A$53,720), is presented for books of fiction or nonfiction centred on medicine, health or illness. Krasnostein’s book is a biography of trauma cleaner Sandra Pankhurst. It has already won numerous awards, including the Victorian Prize for Literature and the Victorian Premier’s Literary Award for nonfiction, the ABIA general nonfiction book of the year and the Dobbie Literary Award. 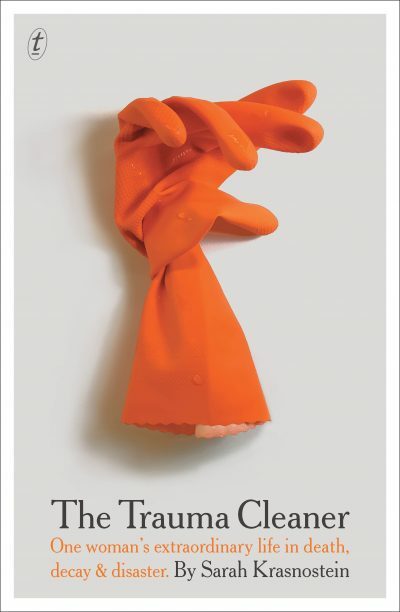 The Trauma Cleaner is one of 12 titles longlisted for the prize. To see the full longlist, click here. The shortlist will be announced on 19 March and the winner on 1 May.